The Lucky Country is a smaller project of Michael Twelftree from Two Hands. This was created to provide a reasonably priced “artisanal” wine to contrast the growing ocean of mass produced “critter wine” coming out of Australia. In my opinion, Michael achieved his goals. You can taste the “Two Hands” lineage and upbringing in the bottle. The Lucky Country Wines offers quality wines packaged with iconic Australian photography, representing the lively spirit of Australia. The name is taken from the 1964 book, The Lucky Country, written by social critic Donald Horne and was originally written to be ironic, as an indictment of 1960’s Australia. Donald believed that the economic success of 60’s Australia was derived from luck rather than skill. But over the years, this phrase has taken on new meaning and is now proudly used by many to describe what is great about Australia. The Lucky Country Wines is the result of hard work combined with vision, creative acumen and business ‘smarts’, and maybe just a little bit of luck to help bring it all together. The wines are already proving a hit, available in several markets around the world and with the brand continuing to grow every day. 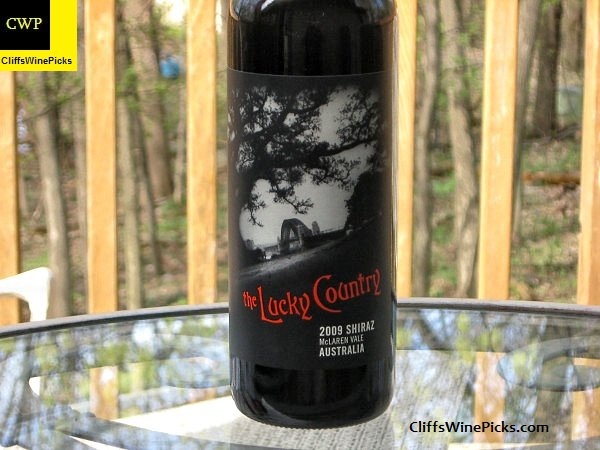 The Lucky Country Wines were created to deliver great value, stylish wines to drinkers at a reasonable price. People everywhere can now share and enjoy the experience of what makes Australia the Lucky Country. 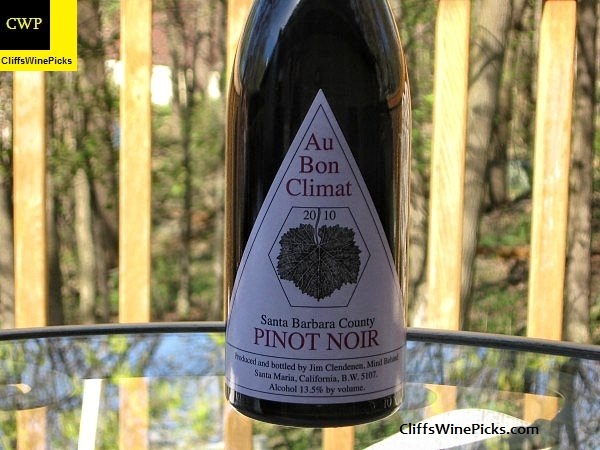 Au Bon Climat and owner/winemaker Jim Clendenen were two of the original stars in the California Pinot Noir movement in the mid to late 1980s. Just about every publication that featured wine bestowed well deserved honors and awards on Jim and Au Bon Climat. The winery now produces over 30,000 cases of wine a year and is still one of the leading produces of “classically styled” wines. We had a couple glasses of this wine a few weeks ago at a local restaurant. When I saw it on the shelf at the local wines store, I had to grab a couple bottles. I didn’t take notes on the wine at the restaurant, but I remembered it having nice red fruit and some subtle earthiness. It will be nice spending a bit of time with a bottle to see how it performs over the course of an evening. 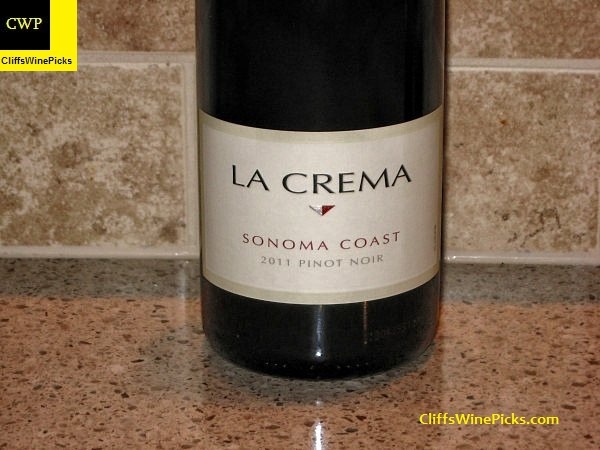 For more than 30 years, La Crema has explored California’s coastal appellations, a voyage of varietals that started here at our estate in the foggy vineyards of the RussianRiverValley. On our journey, we have found exciting cool-climate vineyards north in the rugged hills of Mendocino, and south along the wind-swept slopes of Los Carneros. Most recently, our exploration has taken us to the wind-swept hillside vineyards of Monterey. Centered always on the dual lens of Chardonnay and Pinot Noir, we look for one unifying factor at these exceptional sites: coastal wind and fog that allow the grapes ripen slowly on the vine, developing intensely complex aromas and flavors while retaining firm acid structure. Naturally, our winemaking team seeks to express the essence of the terroir in our wines, capturing the unique personality and flavor profile of the vineyards. Elizabeth Grant-Douglas infuses our winemaking regime with a highly personal touch that combines the best of traditional Burgundian winemaking techniques with a contemporary California style.